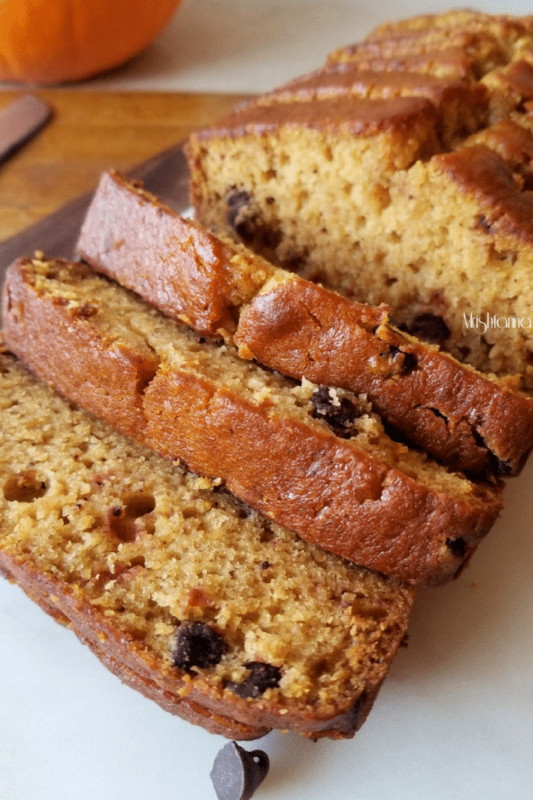 I have been loving and enjoying this kind of quick bread like the Vegan Banana Bread, Vegan Mango Bread, and Vegan Cucumber Bread. It is something you can prepare with flax meal that is readily available in any grocery store. That is the secret ingredient that brings the texture that we look for, in any bread. Homemade fresh pumpkin puree is best! 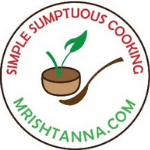 Why homemade pumpkin puree is best because it gives freshness to the pumpkin bread and it is free from preservatives. Unless you buy pure or organic one. Needless to say, the pumpkin flavor comes from the homemade pumpkin puree and all the other flavorful spices like cinnamon, nutmeg, cloves. Apart from these, I also added a pinch of cardamom powder for an enhanced and sweet flavor. Talking about sweetness, I added (dark) chocolate chips to the bread as the very last step when the batter is ready to be baked. If you have never tried Pumpkin flavor with dark chocolates, you need to experience it today! To prepare the batter of vegan pumpkin bread you can use a power blender like Blendtec or Vitamix (only to mix wet ingredients) or you could do it by hand like I did :)…Either way, you get a delightful and moist Vegan Pumpkin Bread that you will enjoy for several days. Just be sure that you keep it stored in an airtight container. Refrigerate it and it will stay good for up to a week. 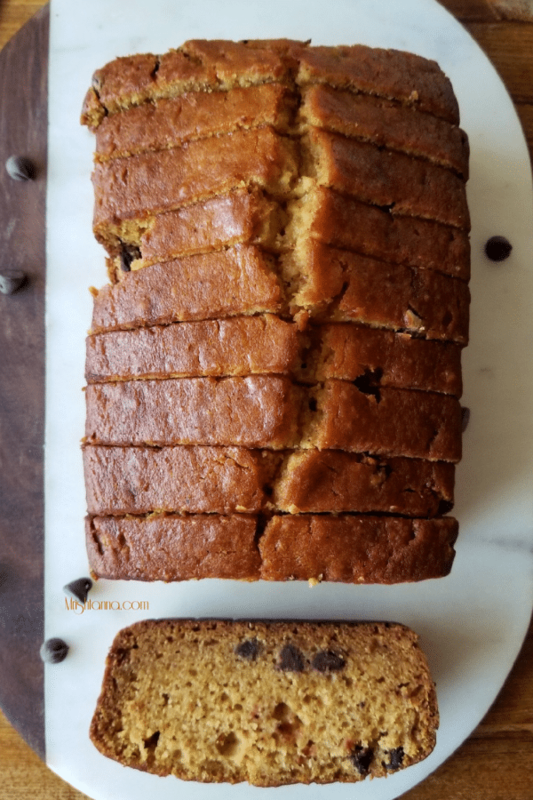 Let me know how do you like this vegan pumpkin bread with chocolate chip. If you have time comment below and rate the recipe or feel free to leave a comment here or on my facebook page. 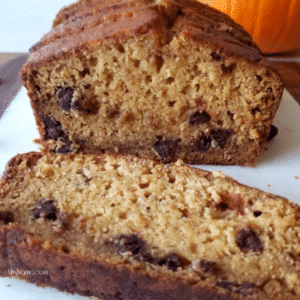 Moist and deliciously spiced vegan pumpkin bread packed with full of flavors! Preheat oven to 350 F (180â€¢ C). In a large bowl, mix together flour, baking soda, salt, nutmeg, cinnamon, cloves, and cardamom powder. In medium bowl mix pumpkin purÃ©e with sugar and whisk it until the sugar dissolves. Add oil, brown sugar and whisk it again. Now add the 2 flax eggs. (2 tbsp flax meal mixed well with 6 tbsp warm water) and mix evenly. Blend this mixture with the flour mixture and add the chocolate chips too. Mix gently. Pour the batter into greased 9 X 5-inch loaf pan and bake in the preheated oven for 50 -60 minutes or until a toothpick inserted into the center of the loaf comes out clean. Let it cool for 20 minutes before slicing to prevent it from breaking apart. Vegan Pumpkin Bread is ready! 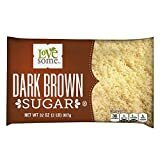 Serve cold or hot with a hot cup of coffee! Thank you Amy! The aroma and flavor of the bread makes more delicious!